Acting Jobs>Voiceover & Radio Jobs>Voice Over Man Needed for Paranormal Web Series Pilot. 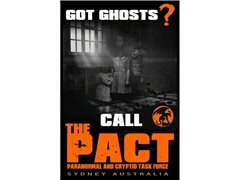 Voice Over Man Needed for Paranormal Web Series Pilot. Voice-over man needed for a paranormal TV/Web-series pilot for a streaming service, Mainly for an intro and various other introductions, possibility for on-going work & payment if show gets the green light. We are after a voice similar to Warwick Moss from The Extraordinary, Australian, deep & haunting. Woman Needed for Minor Role in a Paranormal Web Series Pilot.